we went on to Furumine Shrine at Kanuma city. It is known as the birthplace of Nikko and enjoyed talking and taking a walk around the beautiful Japanese garden full of the colorful leaves. Dean : Thanks for the tips Bob! Nice leading Yukiko! Bob : Thank you Yukiko! 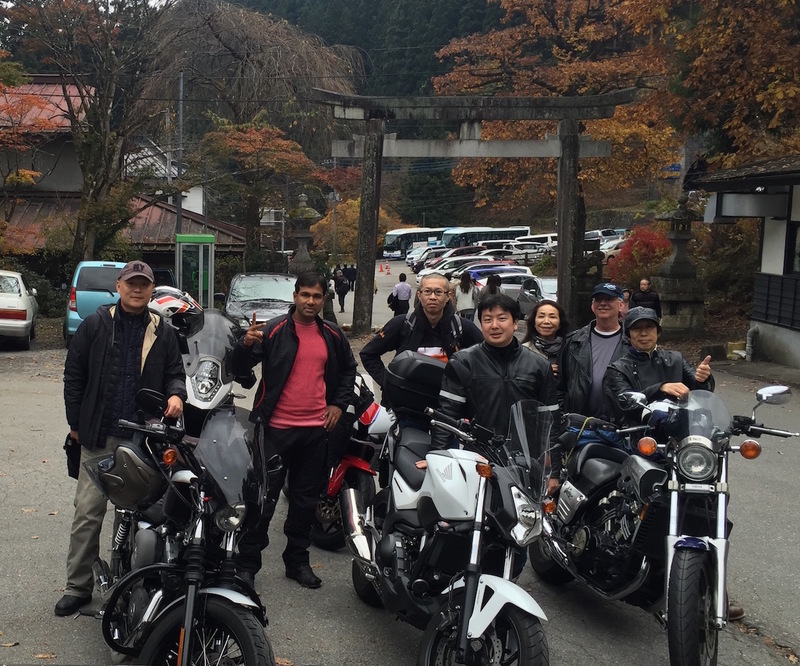 It was a very nice ride, and everyone did very well “group”riding style! David : Thank you Yukiko! Thanks everyone for the enjoyable ride today.